Priced per inch. 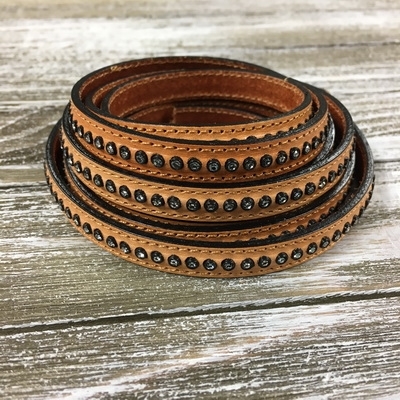 To make a bracelet you will need to remove the crystals on either end of the leather then scrape off the remaining bits of rubber that housed the crystals. Use Super New Glue or Loctite Gel to secure in your clasp.